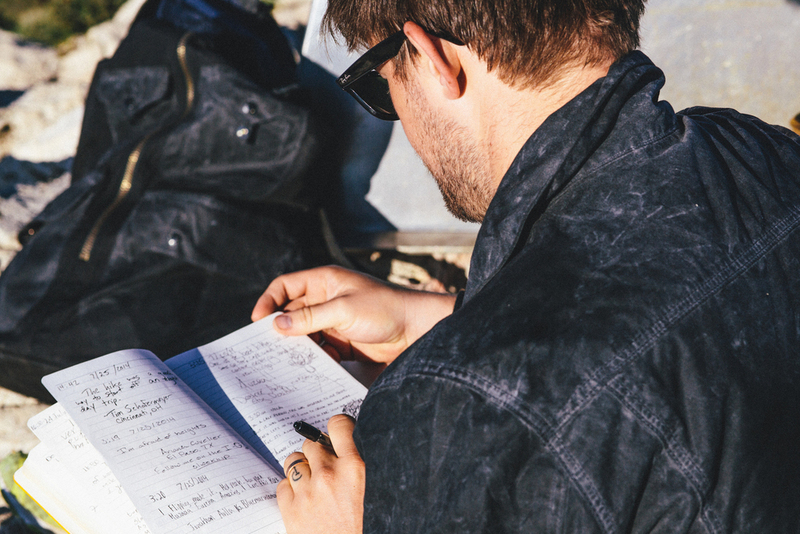 A travel essay for Filson Life. Amidst the vast, monochromatic plains of West Texas, there rises up from of the arid earth a mountain range, seemingly out of nowhere. 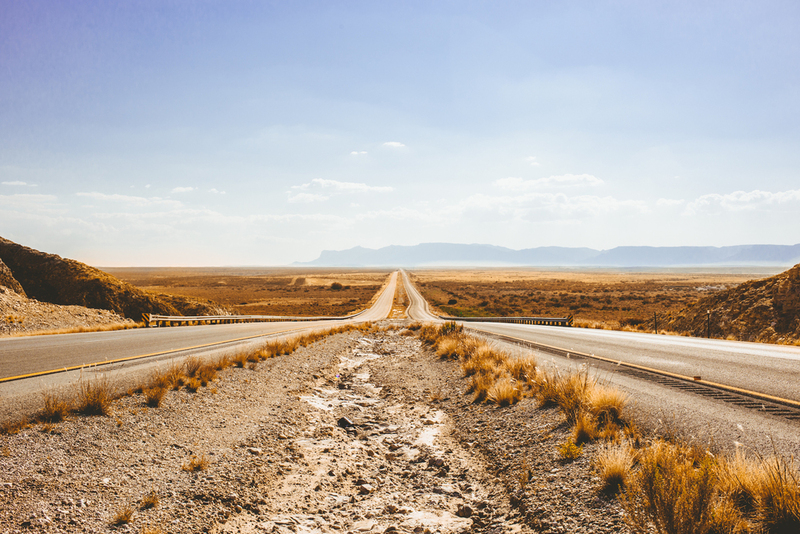 The Guadalupe Mountains span the border of New Mexico and Texas, and are home to one of the largest underground caverns in America, as well as the tallest peak in Texas. Photographer and musician Philip Anderson Edsel left Austin with his bandmate and best friend since college (also named Austin), with a mission: to travel from the bottom of Carlsbad Caverns (over 6,500 ft. below the earth’s surface) to the top of Guadalupe Peak (nearly 8,800 ft. in elevation) in one weekend. 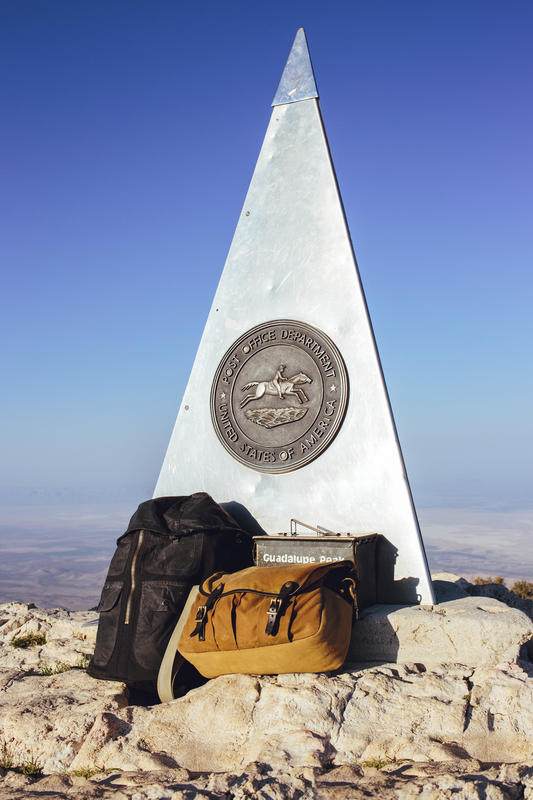 By the time we reached the base of Guadalupe Peak, it was late in the evening and the sun was fading with swift momentum. It was a gamble to get caught on the side of a mountain without any light, but we felt confident we could make it to the Peak’s campsite before the light ran out. We set off ambitiously, the monotony of our footsteps keeping quick rhythm as we ascended. 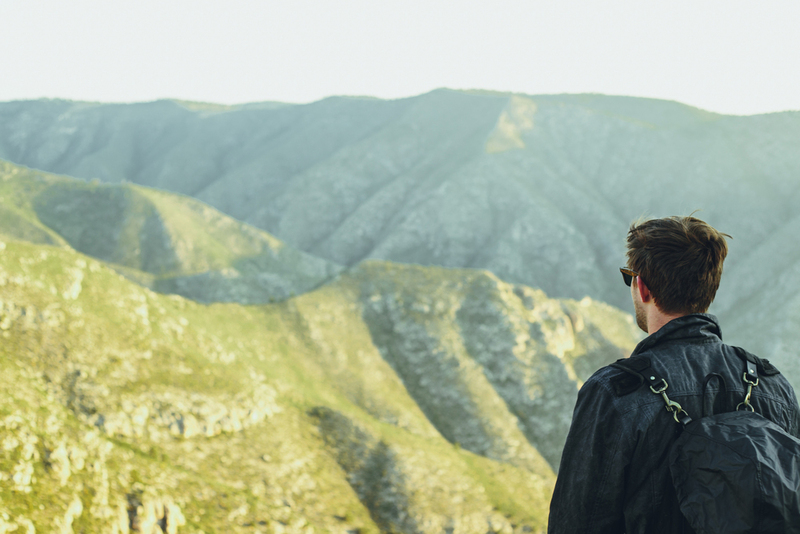 The guidebooks warn that the hike is “strenuous,” the first mile and a half rising almost straight up in a series of switchbacks. With the frantic pace we were setting, and nearly fifty pounds in camping gear each, there were times it felt damn near impossible. If it weren’t for the breathtaking views of the mountains and the thought of a cold beer at the top, I’m not sure we would have made it. 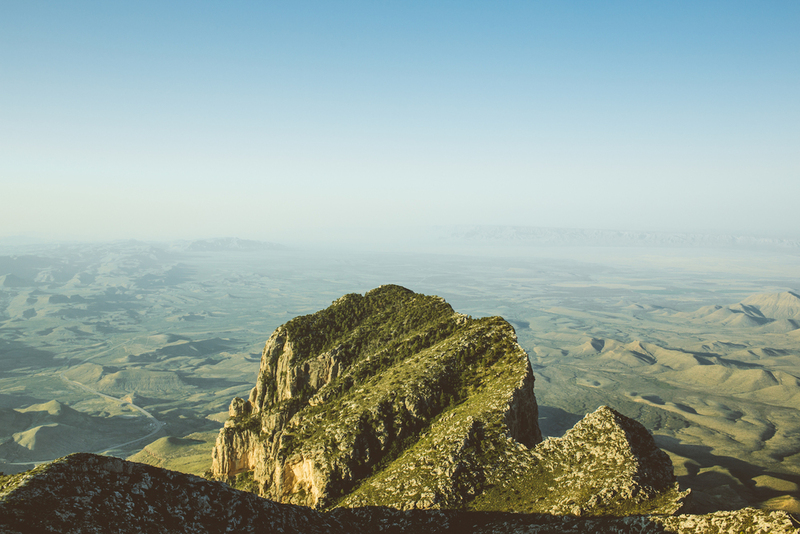 But as we climbed, and Guadalupe Peak cast it’s long shadow over the vast Texas landscape spread out before us in golden light, we realized our timing could not have been any more perfect. Sure enough, when the light was almost lost completely and our feet were numb from a day of epic adventuring, we stumbled into the primitive campsite, only a mile from the top of the peak. We hurriedly pitched our tent and cooked dinner as the stars took up their post in the night sky. We made sure to have a couple beers too, our trophies for completing the first leg of our weekend’s undertaking. As I lay in the tent, above every single soul in the state of Texas, I looked up at the stars and felt thankful. For a world full of wonders, for adventures to have and for friends to have them with. In the first light of morning, the wind at the top of the mountain whipped wildly at our tent. I grabbed my gear, my head spinning a little from the altitude (and maybe a little from the six-pack), and walked towards the soon-to-be sunrise. In the darkness the night before we had unknowingly camped near the mountain’s edge. Here at the cliff’s face, I saw the lights of some distant Texas town flicker to life with the early risers, as royal blues morphed into the iridescent pinks and purples of a world on the cusp of day. Back at the campsite, we grabbed our gear and prepared for the last leg of our hike. Up there it hardly felt like Texas, with temperatures in the 70s and Douglas firs lining our path. As we neared the top of the peak, our sense of anticipation grew as the air thinned. We rounded the final switchback and found ourselves at the Top of Texas. At the summit, a sole spire marks the intersection of earth and sky, an installment left to commemorate stagecoach travelers and the faithful US Postal Service of eras past. We couldn’t help but feel a sort of cosmic connection to these bygone travelers, and it was clear we weren’t the only ones. Below the spire sits a guestbook; nearly every inscription a note to lost loved ones, as if the spire was some kind of antenna to the heavens. It was in that moment I realized the implication of traveling from far below the earth’s surface to far above it in a short 24 hours. Our heights are always relative to our depths. And with that fresh sense of perspective, the tallest peak in Texas suddenly seemed that much taller. We made the hike back down in almost half the time. The path was no less steep, but our load was lightened by the food and water we had consumed, not to mention the sense of accomplishment which buoyed our steps. We loaded up the car for one last stop before we traveled back to Austin: Marfa, Texas. Our home for the night was El Cosmico, a campground of hodgepodge teepees and renovated Airstreams, as random and eclectic as the West Texas oasis of Marfa itself. We pitched our tent one last time, woke up for one last sunrise, and started the drive home, our bruised feet and sore muscles only adding to the feeling of another adventure completed.